Democracy doesn’t always get it right on the first try, but it does give us the opportunity to reflect on our past decisions and to change direction if necessary. Our most recent municipal election clearly indicated that voters in many of Niagara’s municipalities wanted to follow a new path. Thus the number of new faces we will see around the council tables of our towns, cities and the Region, when new councillors are sworn in come early December. The desire for change affects not only local government, but also the many boards, commissions and authorities overseen by our 12 municipalities and regional government. Among them is the Niagara Peninsula Conservation Authority, whose primary mandate is the protection of Niagara’s watershed. In September 2018 the Auditor General of Ontario released a diplomatically worded, yet scathing indictment of the shortcomings of the NPCA. This is must-read material for all incoming members of council. The AG’s 24 recommendations covered issues of governance, financial control and operation. Six of her recommendations require action at the provincial level, however 18 can be implemented by the NPCA at the board level. Some 70 percent of NPCA’s annual revenue comes from the municipal levy and is paid through the Niagara Region, Hamilton, and Haldimand. This gives local politicians a special responsibility to ensure that the NPCA is fulfilling its mandate. The present board of NPCA has committed to implementing all of the Auditor General’s recommendations, however it will actually be up to the new board to follow through on this pledge. The NPCA board is comprised of 15 members: one from Haldimand, two from Hamilton, and 12 from Niagara. One of the AG’s major recommendations was that potential board members be citizens from the communities involved, and that their selection should be based on a defined set of skills and competencies related to the NPCA’s responsibilities. Clearly defined financial controls need to be put in place. The public needs to have confidence that taxpayer dollars are being spent in accordance with accepted norms that govern public institutions. Procurement policies must be clearly stated and adhered to. Contracts for goods and services should always state expectations for deliverables and be evaluated for the same at the conclusion of the contract. Finally, the new board needs to recognize and respect the difference between their role as policy makers and that of the professional staff in carrying out day-to-day operations. 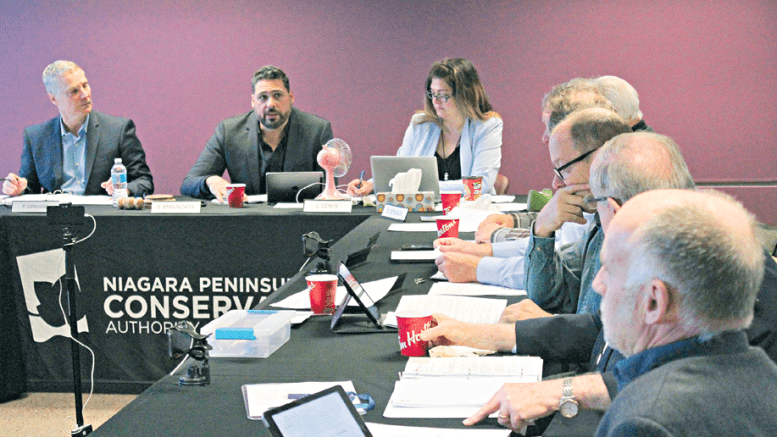 Niagara’s 12 municipalities need to take the appointment of a representative to the NPCA’s board seriously and ensure that the individual appointed has the attributes required to successfully carry out hir or her responsibilities. We should all follow Hamilton’s example and nominate citizen members (St. Catharines recently announce the same policy).